Escape for the weekend at Chicago Marriott Lincolnshire Resort with our Golf Package and surround yourself with exceptional service and unlimited amenities. Play golf and enjoy discovering the resort’s live musical theatre, Three Embers Restaurant, Wright's Brew & Bistro, STARBUCKS, Spa, health club, pools and much more. 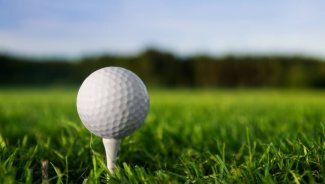 Grab your clubs and tee off at Crane's Landing 18 hole golf course. Experience the evening at Chicago Marriott Lincolnshrie Resort and enjoy breakfast in the morning. Welcome to the Chicago Lincolnshire Marriott Resort. Discover a welcoming hotel in Chicago's North Shore area, where your perfect business retreat, family vacation or romantic weekend awaits. Thirty minutes from downtown Chicago and O'Hare International Airport, our hotel brings you the best activities of the region. Our 390 newly redesigned guest rooms and suites showcase the latest amenities, modernized bathrooms and ergonomic work areas. Indulge in abundant recreation, including a PGA golf course, tennis center, two pools, spa, and highly acclaimed live musical theatre. Or delight in delectable dining at our two new restaurants; Three Embers and Wright's Brew and Bistro. From meetings and exhibits to weddings and mitzvahs, our distinguished resort setting offers a picture-perfect event location, with 40,000 square feet of meeting space - backed by Marriott's award-winning service. Experience it all for yourself!